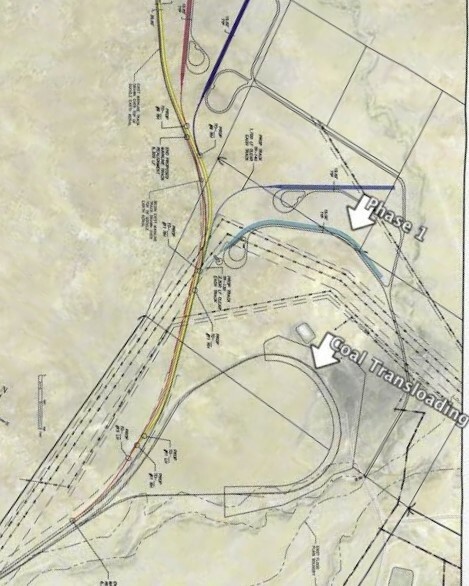 Gallup Energy Logistics Park is currently comprised of two rail loops. The first loop is utilized as trans-loading site for coal. Coal is brought to the site via truck and then is shipped by rail to New Mexico, Arizona, and Mexico. In 2017, a second loop made up of 11,000 linear feet of new rail was completed. The second loop provides direct access to the BNSF Transcontinental line and close proximity to I-40 and highways 491 and 602. The Park is managed by Gallup Land Partners, LLC (GLP), part of the Roche Enterprises, Ltd. portfolio. Led by Chairman Robert Roche, Roche Enterprises invests in a broad range of industry sectors, including consumer products, media, hospitality, real estate, financial, energy, and logistics. Roche Enterprises has been a valued partner to the state of New Mexico, supporting its efforts to develop, grow, and provide economic opportunity to the northwest region of the state. With a strong vision for the future of the area, Roche has demonstrated a significant commitment to Gallup-McKinley County. In 2013, Roche Enterprises purchased 26,000 acres of land in Gallup, and the company has invested more than $40 million (USD) in the area. Gallup Land Partners currently consists of the energy park, commercial and residential development projects, the Gallup 9th Street Flea Market, and more than 30 leases across a variety of industries. Privately funded by Roche Enterprises, Ltd. with investments of $51 million (USD) over the past 7 years.